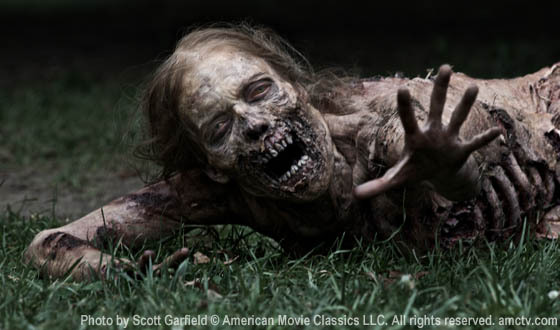 Update: Two more cases of Emergency Alert System zombie reports have popped up, and, again, there were, in reality, no zombie uprisings, as far as we can confirm. The above video is of an EAS activation on ABC affiliate WBUP-TV in Marquette, Michigan. It’s the same as the one that hit Great Falls, Montana yesterday. This one also aired on PBS affiliate WNMU-TV in Marquette, and the Detroit News reports that it broke into Barney and Friends on that station. I’m not sure what would have been more horrifying, Barney or the zombies. It also aired, says the Detroit Free Press, on CW affiliate WBKP-TV, right in the middle of The Carrie Diaries, but if nobody actually SEES something happen, did it really occur? LaCrosse Tribune, put the Montana audio on the LaCrosse TV station, via the LaCrosse radio station, which was merely playing the tape of the… oh, you get the picture. Previous article The Walking Dead: Yes, No, Don’t Care? Next article I’m a nursing student…. The Walking Dead: Yes, No, Don’t Care?